If you weren’t there you missed a real treat. 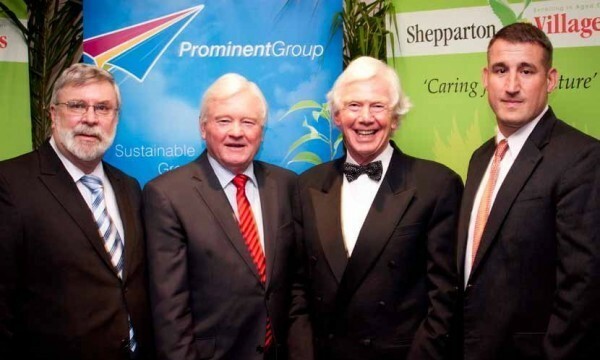 Dinner nets $30,000 for Shepparton Village's fundraising drive. Aged care residents and keen bowlers are holding a gala fundraiser for their latest project. Shepparton Villages is the 10th subject Malvern historian Stella Barber is writing a book on. Service award certificates were handed out to 64 staff who served Shepparton Villages and passed milestones of 10 years, 15 years, 20 years, 25 years and 30 years last Monday. The giving doesn't seem to stop for Goulburn Valley Freemason members. With $165,000 of the $170,000 fundraising target met, Shepparton Villages are well on target to acquire their two new buses in the coming months. Overwhelming community generosity, including an anonymous $5,000 donation at Shepparton Retirement Villages' fundraising dinner earlier this month, finds the not-for-profit organisation close to their recent fundraising campaign target according to Shepparton Retirement Villages Fundraising Manager, Victoria Glazner. There's now a safer way to cross the road for Kialla Gardens Village residents with the opening for a new zebra crossing on Waranga Dve. Shepparton Villages' target to buy new specially-modified buses for its residents received a huge boost at a fundraiser on Saturday night.